I’m a huge fan of online shopping because I like the idea of being able to browse whenever I want, on the go, middle of the night—you name it! However, shopping for a swimsuit is at the bottom of most women’s lists—especially online. We’d rather get that part over with and get on to enjoying our time in the sun at the pool or beach with our friends and family! I particularly dislike swimwear with straps that easily untie or don’t offer a flatting fit, the last thing I want to be doing is re-tieing my suit at the beach! Target is trying to help women get over the dread of swimsuit shopping with the #NOFOMO pledge. I’ve rounded up a few of my favorite tips to help you find your dream suit online—even if there is still snow on the ground. It’s never too early to start dreaming about summer, right? Real talk here–trying on a swimsuit in a poorly lit dressing room, or under harsh lighting can accentuate awkward shadows and not be the most flattering way to assess a swimsuit. I recommend trying on a swimsuit at home (instead of in-store) for a more relaxing experience and without direct overhead light. I tend to buy my swimsuits from Target because of their free shipping and returns—I wish more retailers offered this! Order two sizes of the styles that you like and size up or size down easily. For returns, I just keep them for my next Target run (which, let’s be honest, is once a week!) or easily pop them in the mail. When shopping online, use the size chart to help determine what the fit will be like. In the past I’ve ordered swimwear based on “yep this is my size” and then I receive it and it doesn’t fit or, worse, I’ve had it fall off from a crashing ocean wave (definitely a cringe-worthly beach memory!). When shopping at Target, I use the size chart associated with the specific suit or brand. I found these two one-piece swimsuits and love them! One-piece swimsuits are definitely on trend and these have extra detailing to make them anything but boring. Now that I’ve found these two suits that I adore and love the fit on, I’m excited to plan some summer vacations and escape to some warmer weather. Hanging poolside in Mexico or swimming at the beach in Hawaii perhaps? Time to start planning! Sponsored by Target, opinions 100% my own. All of my swimsuits are from Target! Great tips! I have had some great luck with bathing suits online and some fails. I will keep these tips for next time! This is a really tricky thing to do! Great tips. And I LOVE that first suit! Great tips! 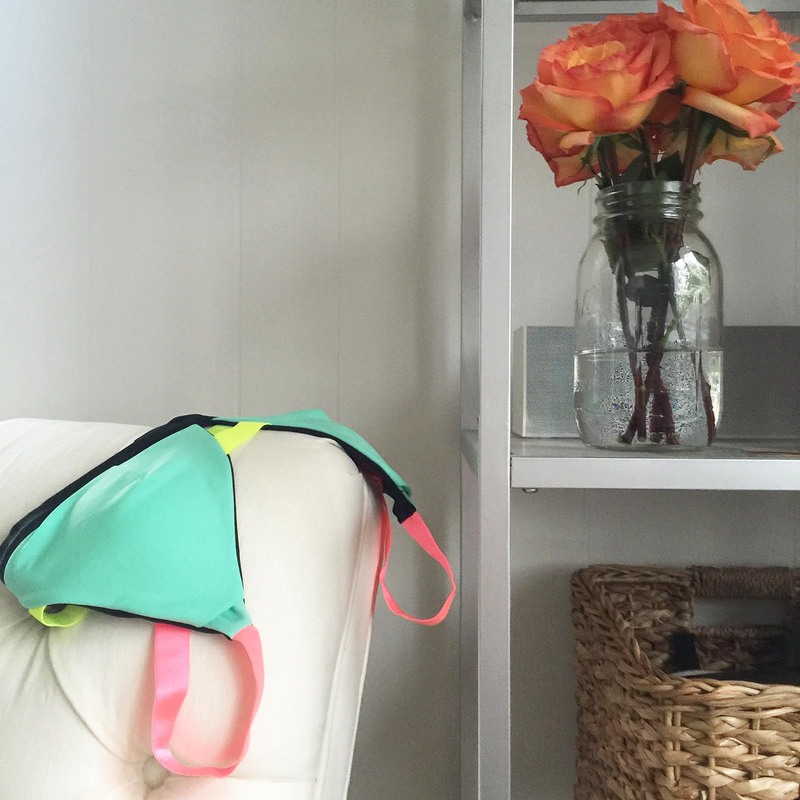 Bathing suit shopping can definitely be hard online, but the idea of buying two sizes is such a good one! Such great tips, I’ve found lots of great online deals but hesitant to order because of fit, but you just opened my eyes by saying ordering two sizes, duh. Totally easy to do and smart. Thanks! Great tips! It really helps to already know your size for different brands. I like to stick with styles that I know I like if I’m buying something unseen. Great advice. I can’t count how many times I’ve purchased swim suits online only to find that they don’t fit. I took a hiatus from purchasing online until I found a company I fell in love with while in Kauai, so far so good. These are awesome tips! I always order swimwear online, usually from Asos, and the size chart is super helpful! Oh I love those suits and I love that these are Target!